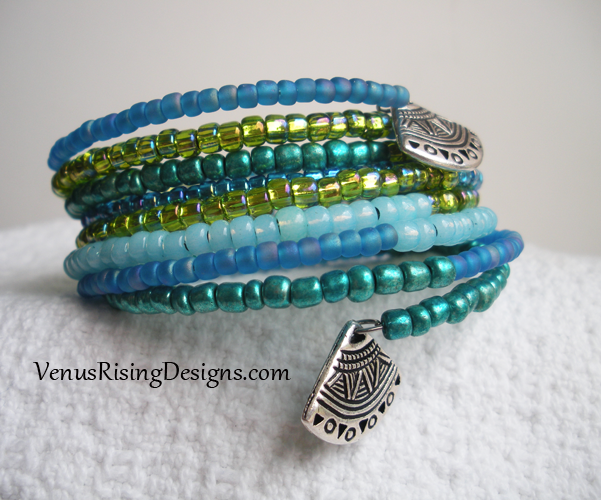 Shimmering shades of greens and blues go so well in this bracelet made with seed beads on memory wire. Silver fan dangles are attached on both ends. The diameter of the bracelet is 2-1/8" but can fit slightly larger wrists since the memory wire is flexible and can be adjusted.